La Peg Restaurant at the intersection of Race Street and Columbus Boulevard. 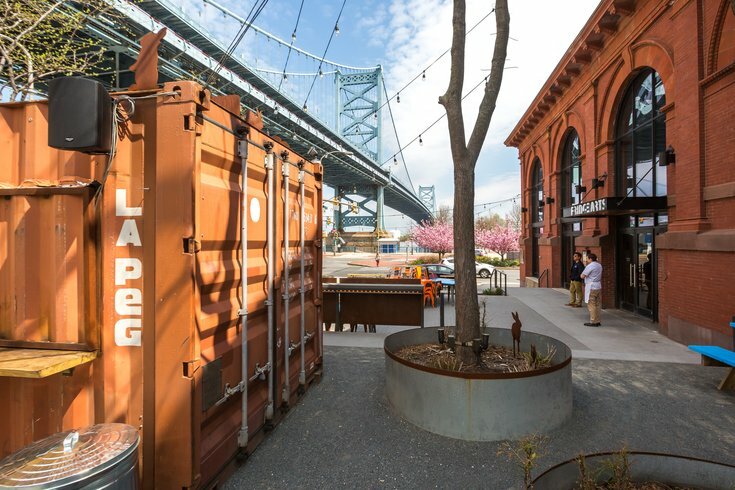 La Peg, which includes a beer garden beneath the Benjamin Franklin Bridge and an industrial interior dining room, is throwing a birthday party on Sunday, Aug. 26. 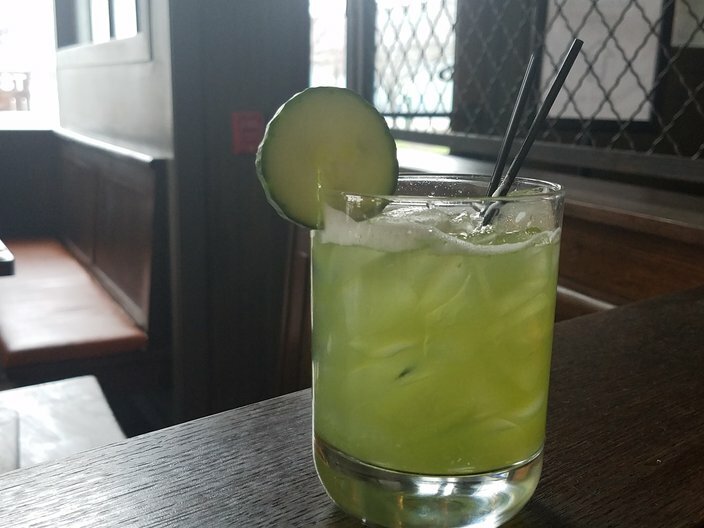 To celebrate the restaurant turning four, there will be $4 deals from noon to 10 p.m.
Cucumber Rum Collins at La Peg. Guests will be able to move freely through the outside and inside sections, but the specials will primarily be offered in the beer garden. The outdoor space includes twinkling lights and a shipping container that was converted into a bar. La Peg is located inside the FringeArts building in Old City.